Kota's history dates back to the 12th century when the Rajputs conquered the Chambal Valley and subsequently formed the two states of Kota and Bundi on either side of the Chambal River. While Bundi functioned as the capital, Kota was the land granted to the eldest son of the king. In 1624, Emperor Jahangir made Kota an independent state and Rao Madho Singh (the son of Bundi's Ruler), ascended the throne of Kota. There are a number of historical places scattered around Kota, which is now one of the foremost industrial towns of Rajasthan. Tourists visiting Rajasthan must make it a point to travel to Kota for the annual Dussehra Mela, a 12-day grand affair that is held in October. The best time to travel to Kota is during the months of September to March. 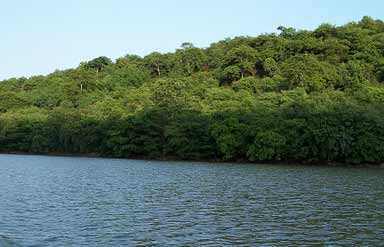 Some of the most famous tourist attractions you can visit when you travel to Kota are listed below. Named after the first ruler of Kota, this museum was formerly a palace. 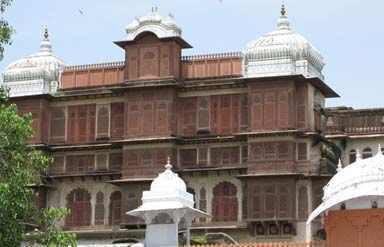 One of the most popular tourist attractions in Kota, the museum has a superb collection of Rajput miniature paintings, exquisite sculptures, frescoes and armory. 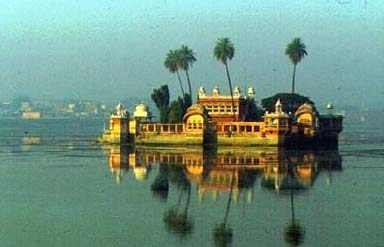 This palace is located in the midst of the artificial lake of Kishore Sagar. The lake dates back to the 14th century while the palace was built in 1740. The beautiful monument built of red-sandstone is a pretty sight to behold. Apart from enjoying boat-rides in this picturesque lake, one can also visit Kesar Bagh (famous for its royal cenotaphs), which lies nearby. The Haveli of Devta ShridharjI is known for its splendid frescoes, lovely wall paintings and beautifully designed rooms. Located in the center of a busy market, the Haveli is a place you must visit if you travel to Kota. » Road: A good number of buses run between Kota and other cities like Jaipur, Ajmer, Chittorgarh, Udaipur, Jodhpur and Bikaner. The main bus station in Kota is located on the Bundi road. Tourists can also explore the town on auto-rickshaws and cycle-rickshaws. » Rail: Since Kota lies on the important Delhi-Mumbai railway line via Sawai Madhopur, a number of trains pass through or stop here. The Kota railway station lies on the northern end of the town. » Air: Kota does not have an airport of its own. The nearest airport is Jaipur, which is 240 km away. Caper Travel India provides tour packages to Kota. For more information or to book a tour, please enter your query in the form given below.